Opening the gate to Hell accidentally can be a bummer, as evidenced by Tibor Takacs’ 1987 horror flick The Gate. Starring a young Stephen Dorff, who most recently anchored Sofia Coppola’s excellent Somewhere, the film focuses on a young boy who goes digging in his backyard and discovers a sinkhole that leads to the underworld. Who knew? As his curiosity gets the best of him, he and his friends find themselves dealing with menacing little creatures, melting faces, and eyeballs on their palms (Pan&apos;s Labyrinth, anyone?). 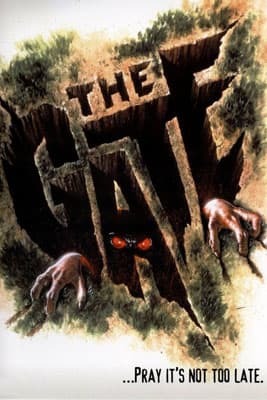 In the tradition of 80s flicks with creepy critters, The Gate is obviously dated and will elicit some laughs, but it&apos;s got a bite to it. The director will be Skyping in for a Q&A session before the film starts, so be sure to show up early. THE GATE TRAILER (Friday Night Frights) from Mighty Worm on Vimeo.